A year now doesn't quite seem as long as it did when I was 16/17, it's actually quite scary how quickly time seems to slip by. However sitting down to do this post, I've actually realised how much has changed in the last 12 months. First and foremost, I started this year frustrated, bored and trapped in terms of my career. I wanted to progress, learn and feel challenged but I didn't feel like that was going to happen in my old job. In January I applied for a couple of graduate schemes and after many months of tests, interviews and assessment centres, I landed one that felt like a perfect fit at a company that was right for me. Yes, there are times when I feel overwhelmed by how much is expected of me, but remembering how miserable I was this time last year puts it in perspective. At the end of the day, I'd much rather people have big expectations of me than feel like I can do more than I've been allowed to! I think along with the new job, I've grown a lot as a person, most importantly in terms of confidence. I think I'm very guilty of allowing not being where I want to be in life making me miserable. Now I feel like I'm on the way to doing what I want to do, I feel much more confidence as a person. Yes, I can do this! No, I'm not a complete moron! Another little accomplishment has been surviving long-distance. For the first time in my relationship we've spent the entire year long-distance. Don't let people tell you it won't work out because if you're willing to put in the effort (my boyfriend driving 5 hours after work to come and see me on a Friday night, as an example) then there's no reason why it won't. I definitely see my holiday in Dubrovnik as a highlight of the year (see my photo diary here). Even just thinking about it is making me long for the weather, the gorgeous food and walking through the historic city. I definitely want to go back and it was lovely to go away on holiday with my mum. 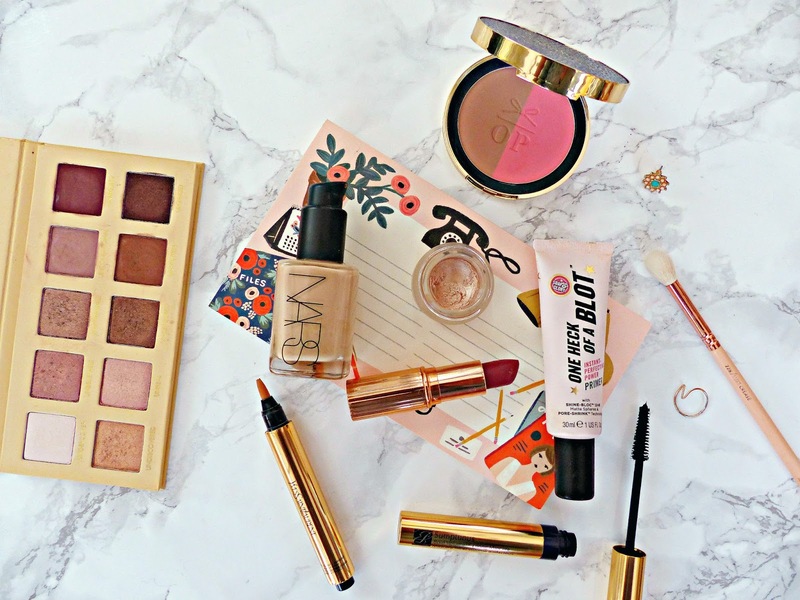 Although there were little milestones like re-launching my blog with a new name and design (read about the process here), Nars sharing my photo on Instagram and hosting a Twitter #bbloggers chat, I think my progression has felt quite natural and organic. It's been a slow and steady move towards improvement. Whether that's followers (I only actually got into Instagram this year and now it's my biggest platform! ), improving my photography or making the look and feel of my blog better, I feel really proud of my progression this year. I've also met so many other bloggers this year. I met Caitlin from Through the Mirror for a blogger event and shopping, went on a big shopping trip with Porcelain Beauty and caught up a few times with some girls I know from last year like Ellie from Life of Ellie Grace, Emma from What Emma Did, Maria from Cruz Beauty, Nisha from How I Wear and Amy from Amy Elizabeth Fashion. Bloggers really are some of the loveliest people out there and when I have a moment to breathe, I definitely want to make more time for hanging out with them. I have a lot of career-related goals for 2016, that I won't share but in the main I just want to see myself grow and develop. I want to see myself catching onto things and being able to tackle and solve problems that currently have me stumped! I also hope to well on the way towards achieving my professional qualifications. I would like to be CII Diploma level by the end of Q3. I really want to get better with money in 2016 and learn to budget. I thought the other day that I rarely post wish lists on my blog and it dawned on me that if I want something, I tend to just buy it. This is not the way to be! I want to have a nice amount in my savings account by the time I move out. Speaking of which, as part of my graduate scheme I will be moving down south to work in a small village called Liphook in Hampshire. I had honestly never heard of it before! It's sort of like the premise of a comedy film: girl who can't drive, has always lived in the city and buys two out of three of her meals every day from Pret moves to a tiny village... I'm thinking of living in Guildford in Surrey and commuting in, but it's still going to be so different to what I'm used to. However I like a challenge so hopefully I can tackle this one! Also speaking of savings, I definitely want to travel a little more. Obviously I'm in full-time work, however even just going further afield for holidays would scratch the travel itch for me. I'm so excited to go to New York for my birthday and if it all goes well I will definitely feel braver about travelling further. In terms of blogging, I don't really want to set myself goals in terms of numbers, I just want to look back this time next year and think 'wow, I've come pretty far', which is how I've felt this year. I will carry on striving to improve every aspect of my content. I thought I'd finish this year-end round-up with some of my lifestyle favourites! I wasn't sure whether I'd enjoy this or not, but this tense sci-fi thriller was absolutely fantastic! It tells the story of an average guy working for a Google-eque tech company who is chosen by the mysterious CEO to work on a top-secret project...which turns out to be the creation of Artificial Intelligence. The film explores some really interesting concepts and there are some impressive performances. The very small cast means the story delves deeply into the three central characters. I've never really been 'wowed' by a hip-hop biopic; films like 8 Mile and Get Rich or Die Tryin' are the ones that spring to mind and they were only really ok for me. However Straight Outta Compton blows any other musical biopic I've seen out of the water. Somehow it encompasses all the years from NWA's formation when they were at high school to the mid-90s without feeling rushed. It shows how important and influential the NWA was in the formation of hip-hop as well as exploring the dynamic and tension within the group and their individual stories. Whether you're a music fan or not, this is an amazing film. I'm such a fan of dystopian and speculative fiction, and whilst it's had a moment in YA Fiction, I've kind of been waiting for a show like this to come along that's just a little smarter. The Man in the High Castle is set in an alternate USA in the 60s after the Nazis won WW2. It alternates between the German-controlled East and Japanese-controlled West and the story is mainly told through Juliana, whose sister is killed for being part of the resistance. There wasn't a single episode that wasn't gripping, exciting and intriguing. I almost didn't include this as the second half of the series was much weaker than the first, but overall I did still really enjoy it and will still watch the second series when it comes out. The story revolves around Claire, an English WW2 nurse who is transported back to 18th century Scotland. The premise sounds ridiculous but they definitely pull it off and I suspended my disbelief enough to thoroughly enjoy this beautifully-shot show. Young Adult fiction is a market of quantity over quality at the moment, so you have to wade through a lot of formulaic rubbish to find something enjoyable. This is definitely one of those gems. If you're a Game of Thrones fan, I think you'll love the fully-realised world and mythology created in the Queen of the Tearling, along with the gripping story of 18 year-old Kelsea taking the throne of a kingdom in a lot of trouble. I've never really been one for beauty books but this is honestly a must-read. As a beauty fan, some advice can feel a little obvious, however Sali's is helpful whether you're an obsessive or a newbie. She covers all the basic beauty topics in Pretty Honest with wit and of course honesty. There hasn't been much that's stood out to me in terms of music this year but looking back through my library, the one mixtape I've not stopped listening to is Drake's If You're Reading This It's Too Late. It's not as great as Nothing Was the Same but it's a different feel and I appreciate Drake is experimenting with his sound. It jumps between different sounds and genres whilst still feeling like an album as a whole. What are your blogging goals for 2016? What have been your 2015 lifestyle favourites? I really enjoyed reading this; I felt a similar way in my previous job about not being challenged enough but also doing far more than what I was paid to do with my managing experience. I have finally changed jobs and actually have the chance to progress at last. Well done with your blog over the last year, it's amazing, and your photography on Instagram (and in general) is so good - if I've missed one of your posts I always click through on instagram, which is rare for me to do. I'm constantly impressed at how well you juggle everything going on in your life! I love reading these type of posts and seeing what people have achieved over the year. Well done in what you have managed to achieve! I love your blog and hope it continues to grow within the next year. My blogging goals are to continue blogging and to improve my photography, writing and design! I've loved reading this, you should be proud of your blog achievements as it really is incredible! Your photography for this post proves that too. I love your choice of film and TV favourites, I really want to watch the man in the high castle too! I wish you the best end of 2015 and the best 2016 lovely. 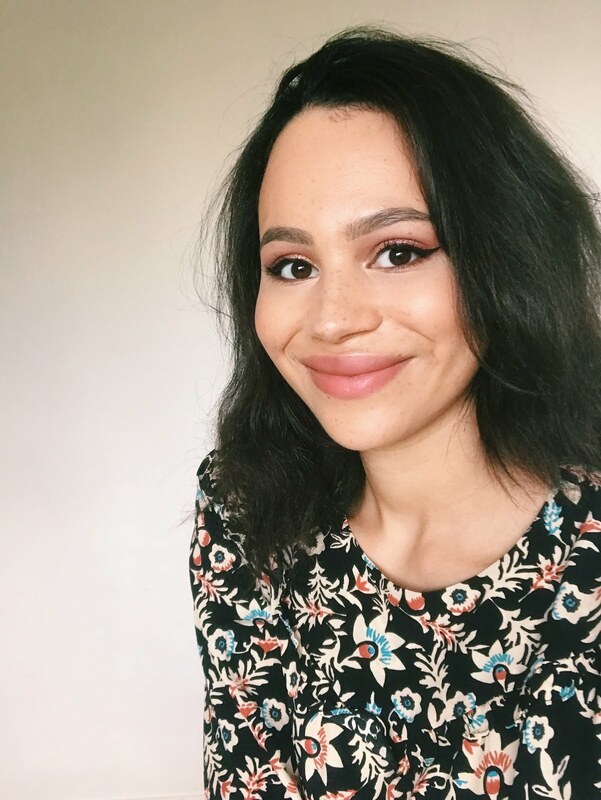 Loved reading this, you've had a really big year Jasmine, hope next year is even bigger for you :) blog goals for me are improving photography and stop spending money too! I have enough makeup and bath stuff at the minute to last me to next Christmas so I need to stop! This post was so lovely to read. It sounds like you've had a fantastic year! I too quite a job I really didn't like and even though it was an impulsive decision everything seems to be fitting into place! I hope next year is even better for you! You should definitely feel proud about everything you've managed to achieve this year! Also good on you with the LDR! My boyfriend and I did three years when I was at University and now we've moved into our own house with our little puppy. :) It's not easy but definitely worth it! Also I look forward to see how you get on moving to a smaller town, it's a big change for you but I bet it'll work out really well! Wishing you much luck and continued success in the new year!! I was considering starting the man in high castle. I think I may now!!! It sounds like you've had quite a lovely year, I'm so happy for all of your achievements! I'm sure 2016 will be even better! And honestly, despite the fact that I fail at commenting most times, your blog is by far one of my favorites. I really appreciate your time and effort and that fact that you always do swatches! One of my goals for this year is to be much better at commenting on other blogs, I've just gotten so lazy the last half of this year! Another gorgeous post! Your photos always look so so stunning! I absolutely enjoyed this entire post! First off, big tip of the hat to you and your boyfriend in surviving the year long-distance - just shows that with enough effort from both sides, it can always work. It also made me so happy to read about how you're enjoying your new job after all this time, I just accepted an offer to begin at a new office in January and I'm definitely looking forward to the new challenges, and really just getting out of my current rut of a job. It's been great following along with you during my first year of blogging, and I'm so excited to see what 2016 brings! I'm definitely hoping to become more active next year and get involved in some Twitter chats (just started one a month ago haha), and hopefully just become more vocal within the blogging community in general. Have a wonderful rest of the year, girl! I love your highlights, I can especially relate to the long distance one. My husband and I are doing long distance since I am away at graduate school. It has been 1 year and 3 months, and we only have 6 months left. It gets so difficult but I definitely agree that it takes lots of effort for it to work out but it's worth it!!! I love reading about your 2016 goals. I wish you the best of luck!!! Have a happy new year! Amazing post, love your ideas here, and happy new year to you! You've achieved so much! I'd love to meet other bloggers I think it would be such a nice thing to do! Great post! My goal was to travel more then me and my boyfriend booked a 3 month trip in the spur of the moment a couple of days later! Its amazing how things happen! 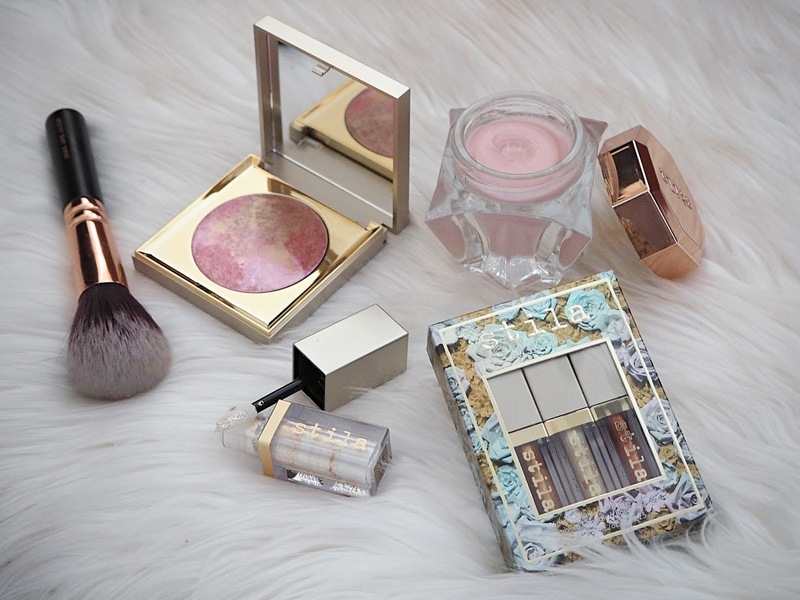 Keep at it, the blog is going amazingly already and your beauty selection is to die for!!! It's great to hear how far you've come and the goals you have ahead of you, we just love your blog and wish you a wonderful new year!